Well folks, I may get tomatoes and peppers and squash this year after all! When my Mom and Dad were in town, Dad helped me get the garden set up. I got everything planted and fertilized. Manure is something we definitely can find on the farm. 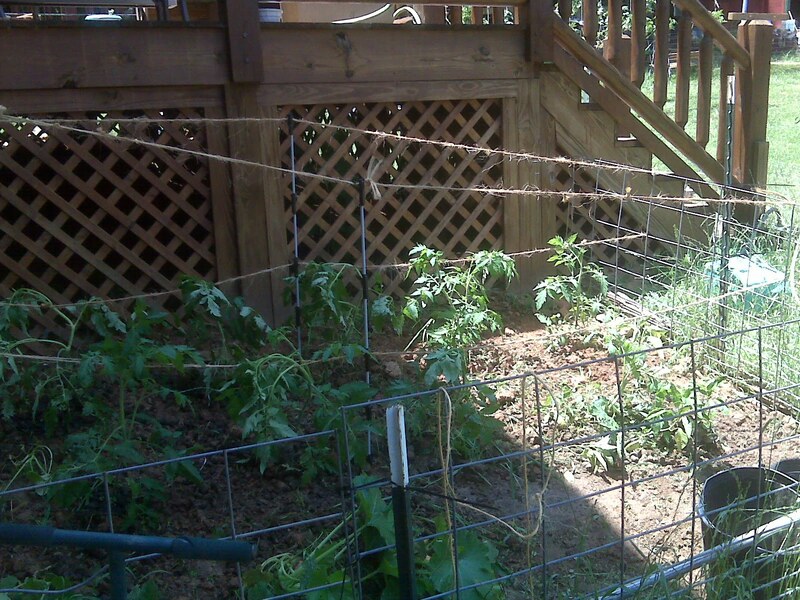 It's kind of hard to make this out in the picture, but I added the posts and twine to support the tomato plants this past weekend. Papa John and I were up at the extension office for a beekeepers meeting, and I noticed that the master gardener had his tomatoes staked up like this. I thought I'd give it a try, since I have absolutely no luck with tomato frames.